It seems like forever since I've posted on here. It's been a crazy last week. Friday after I posted the Flashback my family and some of my friends loaded up 7 deep for a road trip. 13 hours latter we arrived in Alexandria, Louisiana. We traveled all of this way for the wedding and it was a crazy trip that by the time we got home Sunday night we had traveled 1,738 miles. Then on Monday and Tuesday I helped to pack my Mother's classroom. She's moving to the new school and after over 20 years in one school you can imagine how much stuff she had. The best thing I found was a stack of old Sports Illustrated and a Webster book/tape. We ended up packing over 250 boxes of various sizes and using unknown amounts of tape. I will say that boxes without lids we securely strapped in with tape...hmm speaking of being strapped in how about today's Weapons. 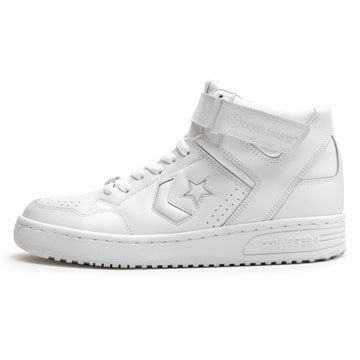 These are from a foreign Converse site, but I can't remember which one. 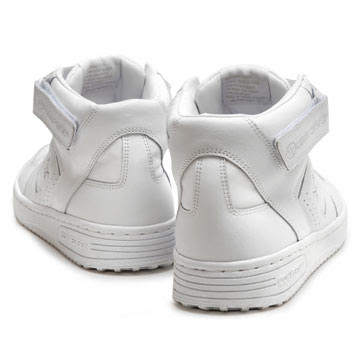 They are a classic white/white colorway with a strap. Nothing too fancy, just something really different. Enjoy the pics below. Well I am out for today, I am really pleased with the amount of votes on the poll so keep it up. I am going to try and post something tomorrow before the flashback on Friday. 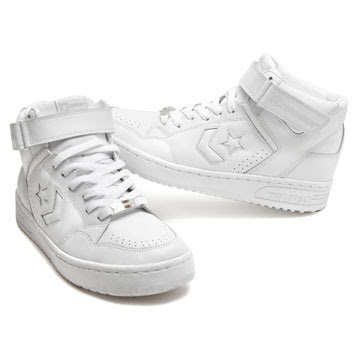 Thank you coming to THE Converse Blog. 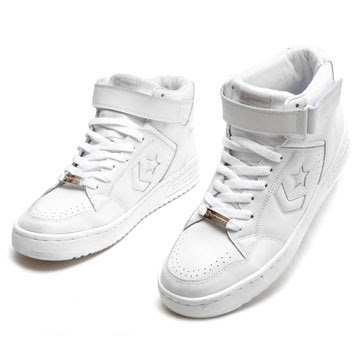 i want this shoe! 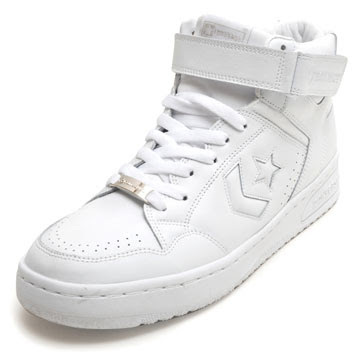 seriously, i've been looking for over four hours straight for a nice pair of shoes, and this is absolutely perfect. where'd do I buy this?